Spring-cleaning is near, which (for most of us) means decluttering our homes! Rather than joining the neighborhood yard sale or throwing out household items that are still in perfectly good condition, you should consider donating to charity. Again, the things you donate should be in good enough shape that someone else can use them. Did you know that there are multiple charities in the Mobile area that will accept your gently used household items? Keep reading below to find out where your household items can find their second home! The Penelope House is located in Mobile in an undisclosed location. The reasoning for this is because the Penelope House is home to victims of intimate partner violence. The Penelope House works to help these victims gain social and economic independence through the shelter, counseling, and advocacy. It provides a refuge for victims and their children when their lives are in impending danger and helps to provide evasion from violent situations. All items that you are considering donating to Penelope House can be dropped off at Penelope’s Closet located on North Florida Street in Mobile. WThe Mission of Hope for Men and Haven of Hope for Women is a three-month program designed to minister those who are battling drug and alcohol addiction. The Mission of Hope is unique in the fact that it does not charge for their services and is funded completely by the generosity of churches, individuals, and businesses in the area who enjoy helping those in need. There are multiple locations for Mission of Hope and Haven of Hope, all of which can be found on their website, www.missionofhopeministries.net. The Salvation Army of Coastal Alabama has been helping those in the Mobile community for 125 years. They accept donations of appliances, clothing, electronics, cars, bedding, and gently used household items. Anything you are able to donate helps to make a difference. The Salvation Army of Coastal Alabama has two locations: one in Mobile off of Moffett Road, and one in Baldwin County off of McKenzie Street in Foley. 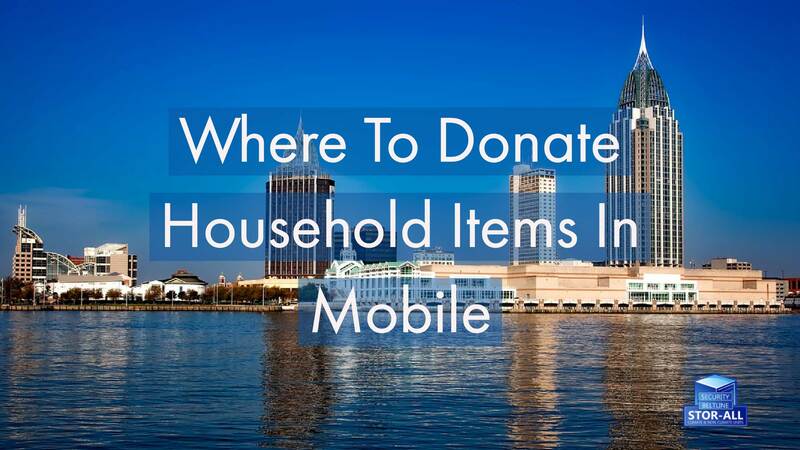 There are several charitable organizations in the Mobile, Alabama area that are always welcoming gently used household items. Keep in mind that helping others when you are cleaning out your homes and garages this year, that there are plenty of people in our area that can use things that you no longer need. Your single act of kindness could change lives in more ways than you know. 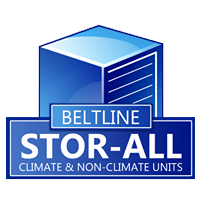 If you have any questions about available storage space for large and bulky household items, appliances, boats, or RVs, contact Stor-All today. We provide all types of solutions for home and business owners in Mobile, Alabama and the surrounding areas. Call us today at 251-343-6999 and reserve your storage unit! Check out Beltline and Security on Facebook, or visit us online at www.StorAlls.com! © Southern View Media 2018: Reproduction without explicit permission is prohibited. All Rights Reserved.